By Kori ~ June 20th, 2012. The state of Oregon is recognized across the country as being environmentally friendly. Ask any American to list the â€œgreenestâ€ states in the country and Oregon is likely to make their top 5. It is no wonder then, that Oregon grape growers and winemakers are committed to green practices as well. 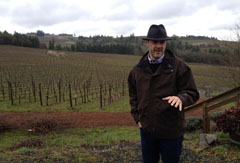 Oregon has long been committed to sustainable winegrowing and earth-friendly practices. A significant number of the stateâ€™s vineyards are certified sustainable, organic, or biodynamic. And now, Oregon Certified Sustainable Wine (OCSW) has been launched as a unifying platform to make identifying those wines easy for consumers. Organic viticulture eliminates the use of synthetic products that create toxins in an attempt to build soil, protect the environment, and protect the health of the vineyard employees. Biodynamic viticulture utilizes the same basic principles as organic viticulture, but then incorporates religious-like practices such as the alignment of planets, phases of the moon, and special preparations such as crushed quartz crystals. Sustainable viticulture has the same goals as organic viticulture or biodynamic viticulture with one big difference: It incorporates the â€œscientific methodâ€ into the formula. It utilizes the least amount of intervention possible while managing in a way that sustains the long-term health of the vineyards as well as the economic viability of the operation. During my recent media tour to explore Oregon wine country, I had the opportunity to attend a sustainability talk and tasting at Sokol Blosser Winery. 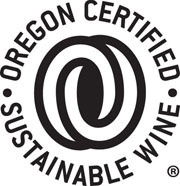 There are a number of organizations associated with Oregonâ€™s sustainable wine industry but the two that Iâ€™d like to highlight are LIVE (Low Input Viticulture & Enology) and OCSW (Oregon Certified Sustainable Wine). LIVE is near and dear to the hearts of people in the Oregon wine industry. It is a program that provides education and independent third-party certification of vineyards and wineries using international standards of sustainable viticulture and enology practices in wine-grape and wine production. They have been certifying growers in Oregon since 1999 and in Washington since 2006. Recently, they expanded their geographical boundary to include all of the Pacific Northwest, including British Columbia and Idaho. LIVE partners with Salmon-Safe to address watershed impacts and also administers the Carbon Reduction Challenge, a certification aimed at helping wineries to achieve energy efficiencies and addressing greenhouse gas emissions. OCSW, which launched in 2008, showcases the Oregon wine industryâ€™s commitment to responsible winemaking, responsible grape growing, and third party certification. 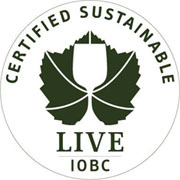 It is a unifying platform that employs a certification logo to help consumers easily identify and purchase sustainable wines. To carry the OCSW logo, a wine must meet both agricultural and winemaking requirements as certified by an independent third party. To meet the agricultural requirements, 97% of the fruit used to produce the wine must be certified by LIVE, USDA Organic, Demeter Biodynamic, or Food Alliance and Salmon-Safe. And, to meet the winemaking requirements, the processor or facility where the wine was produced must be certified by LIVE, USDA Organic, Demeter Biodynamic, or Food Alliance. Sustainable viticulture practices utilize the least amount of intervention possible while managing in a way that sustains the long-term health of the vineyards as well as the economic viability of the operation. Combined with softer winemaking practices, sustainable viticulture gives wineries the best shot at producing great wine over the long haul. While it is debatable whether or not â€œsustainableâ€ wine is actually better or more flavorful, sustainable practices are certainly gentler on the earth, which allows growers to farm for quality wine grapes longer. Hello I like the article a lot it had a lot of good information. Oregon is a great place to produce good quality wine. these definitions seem a bit simplistic and slanted to put ‘sustainable viticulture’ in a better light than it actually is, and biodynamic to seem much more fruity than it actually is. i wouldn’t call biodynamic ‘religious-like’ any more than i would say that systemic chemistries allowed in LIVE don’t have unknown long-term effects (for example see how “sustainable” herbicides like glyphosphate are now found in places we least expected, including the bloodstream of city-dwellers and our water supply). biodynamics relies heavily on the microbial world to do work on the farm, using composts and special preparations and a do-no-harm ethic, where ‘sustainable viticulture’ seems to be on the opposite end of the spectrum to eliminate the microbial ecology in the farm system using systemic chemistries and herbicides. just to be clear. not all biodynamicists are religious zealots, and not all ‘sustainable farmers’ are being a bit too permissive with chemistry, but ask a farmer how his ‘sustainable’ fungicides and herbicides actually work and you may be surprised at how little is known about this, unless there is some verbatim answer provided by the chemical manufacturer. i’m all for sustainable agriculture, but let’s get our facts straight. Thanks for sharing your thoughts. The definitions I provided in the post were intended to be broad and general to give our readers a basic overview of these viticultural terms. And the purpose of my post was to highlight a couple of the organizations in Oregon that certify sustainably produced wines and are trying to make identifying those wines easy for consumers, which I think is a good thing. Cheers!